Elegy on Resistance explored the individual as a figure of resistance in the modern city. 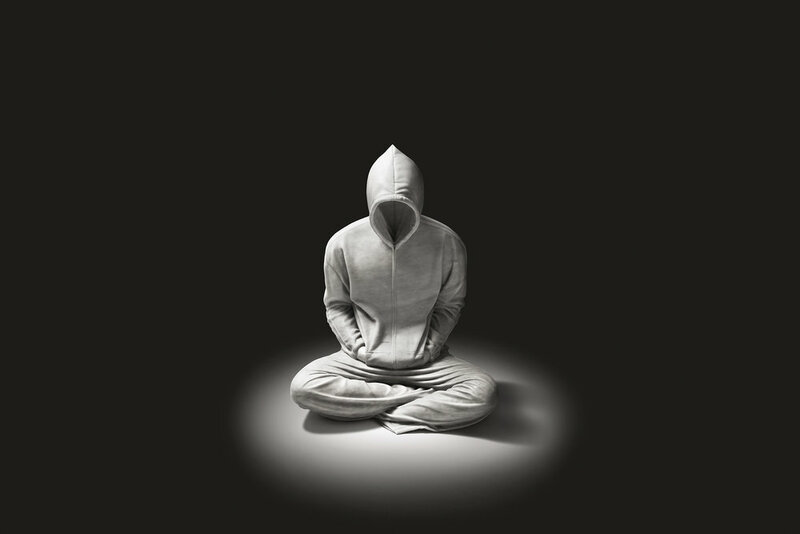 Its central work, Soloist, a hooded faceless figure, was seated cross-legged like Buddha amidst four CCTV cameras (Quartet 1-4) and a series of hanging hoodies (Chorus 1-7). This lone figure stood in for the fear and misunderstanding those deemed ‘outsiders’ in society inspire. Watched suspiciously by the cameras in what could have been a clothes shop (especially given it appeared at an art fair), the hunched body is strangely meditative. It remains inscrutable in spite of our efforts to monitor and control it.